NEW YORK, NY – Zip Aviation today announced that it has reached an agreement partnering with the Professional Golfers’ Association of America (PGA) to provide helicopter charters to the highly anticipated Championship tournament at Baltusrol Golf Club in Springfield, New Jersey July 25 – 31. Zip Aviation prides themselves on providing the safest helicopter services in the tri-state area with first class customer service. Zip Aviation is happy to be working with the 2016 PGA Championship to provide on-site access to the Major tournament. 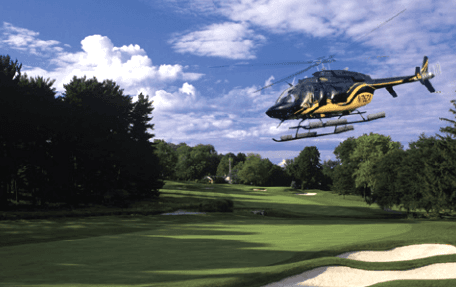 Working in conjunction with the PGA, Zip Aviation will be able to provide helicopter service directly to and from Baltusrol, giving golf fans access to premium corporate hospitality venues at the PGA Championship. As part of the partnership, Zip Aviation has exclusive rights to land on the Club’s property, leaving only a short walk for helicopter passengers to watch their favorite professionals tee off. Zip Aviation and PGA are offering individual and group Champions Club tickets with access to the exclusive tent. The Champions Club tent includes food, beverage, open bar, VIP table seating, and widescreen TVs with viewing pass access to the Hole 4 grandstand. “We are excited as a local community to have the PGA Championships here and hope to provide them with the most elite helicopter service. This can only have a positive impact on both golf and aviation, exposing regular helicopter travelers to golf and the most loyal golf fans to helicopter services,” said, Itai Shoshani, Founder and Chief Pilot, Zip Aviation. Zip Aviation offers helicopter tours, charters, and aerial photography/videography services to locals and visitors in the New York City area. Zip Aviation maintains a clean safety record and operates out of the Downtown Manhattan Heliport seven days a week, 365 days a year.